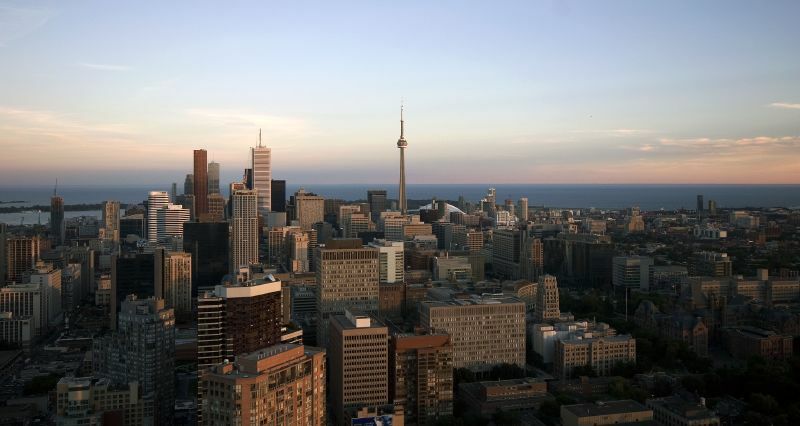 This shot was taken from the top of the Manulife Centre in Toronto at the Panoramics Restaurant. It was taken as the sun was setting, which produced some great light on the buildings. Last night I went to see The Chinese Lantern Festival at Ontario Place. It was amazing! I will post some of those photographs soon. Don't forget to check out the new Galleries section and the Flickr link above for more photos. You can also subscribe to the RSS feed which will notify you of any new journal entries.